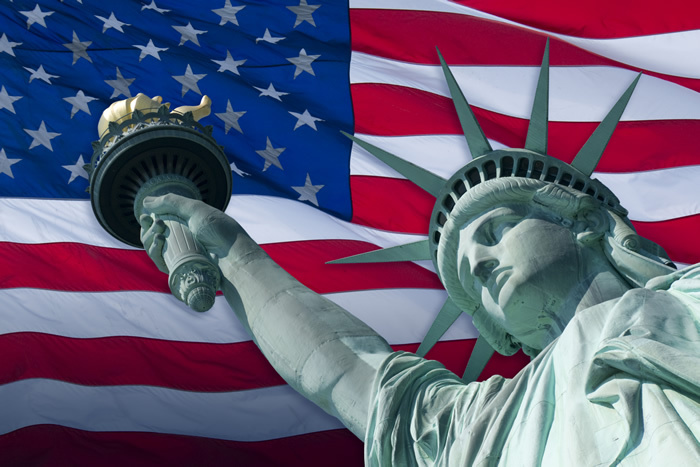 What Does Keanan Kintzel, Lee Iacocca and The Statue of Liberty Have in Common? Knowing marketing with purpose is hard to beat! Here is another fine example of marketing genius combined with purpose. When President Ronald Reagan asked Lee Iacocca to save Ellis Island and our beloved Statue of Liberty, it was a marketing engineers perfect storm. There was history, freedom, business icon’s, mass marketing, country galvanization, presidential leadership and a united worthwhile purpose all rolled into one. 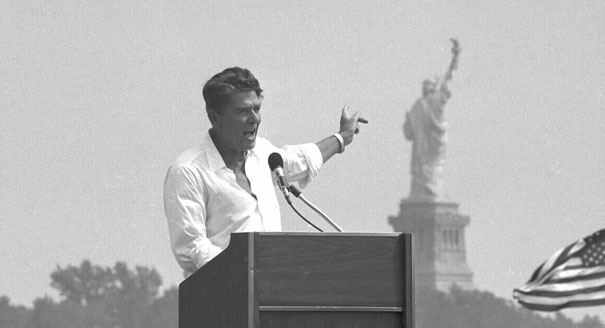 While attending Arizona State University in the early 80’s, like many other American’s I too became entranced with President Reagan and Lee Iacocca’s marketing campaign to help save the Statute of Liberty. Of Ronald Reagan’s lengthy presidential legacy moments, certainly taking on this project must be on that list. After all, there are few symbols that stand taller than the Statue of Liberty when it comes to representing all things American. I still admire Reagan’s ability to forge simple messages and delegate responsibility while packaging accepted marketing tactics with grandiose style. 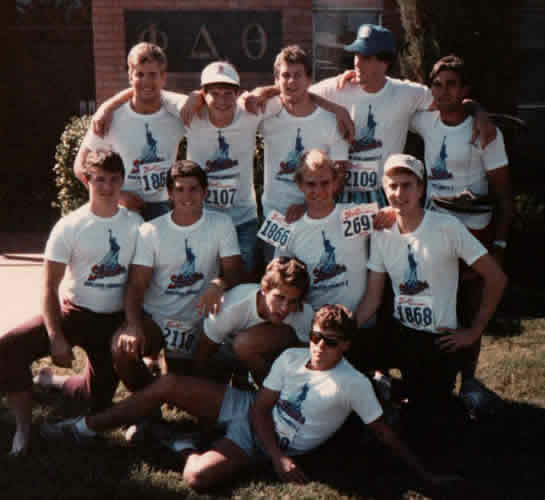 While attending ASU, my fraternity brothers at Phi Delta Theta (AZ Beta) dominated intramural sports for over twenty years. We had actually run out of space for championship banners and winning was something most of us enjoyed. One year, I noticed philanthropy trophies were not as abundant as our athletic banners so I decided to chair the Philanthropy post and go for the gold (we won top honors that year). I helped organize numerous events that year but the most fulfilling of all was jumping on the Iacocca bandwagon to help save the worlds most famous statue. Along with millions of other American’s, we jumped in to help push activities and marketing awareness in our piece of the universe. For us, it was a simple manner of organizing sponsorship donations, runners, other fraternities, school groups and heading to downtown Phoenix to run a 5k race one weekend morning with thousands of others. Our group of save the Statue of Liberty runners consisted of Rob Stewart, Jeff Royer, Richard Newhagen, Pete Bawden, Brian Kirby, Brett Corley, Todd Fosheim, John Fisk, Chris Whitelaw, Andrew Chisholm and myself (Keanan Kintzel) along with many others. We gave our sweaty best to support the big think marketing efforts of Lee Iacocca, Ronald Reagan and the rest of America. What I recall most about the Statue of Liberty restoration project was that it raised the money and completed the upgrades in a relatively short span of time with what seemed like minimal effort. Looking back after having studied a short bit on the history off our famous statue, I’m amazed at how effectively they pulled it off. The original design, shipping and construction of this famous French gift was monumental in its own time. Figuring out how to repair, reinforce and salvage this treasure and executing the plan in the 80’s was another engineering feat for the ages. Over the years I’ve been involved with some decently sized fundraising activities, all of them were born of effort as each of us has so many areas of interest pulling at our pocket strings. In hindsight, it’s not that surprising to see why President Reagan decided to target Lee Iacocca’s help to raise 500 million in the 80’s. To pull off that size of a miracle, he needed a giant of a marketing mind that the American people were closely familiar with. 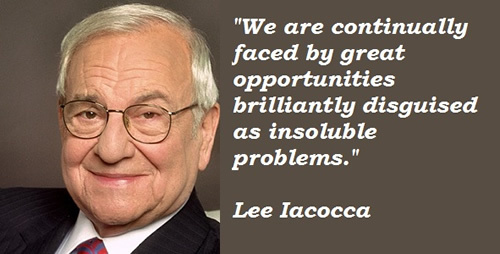 Iacocca had the track record and of course ended up delivering the goods. Two of our country’s proudest landmarks. 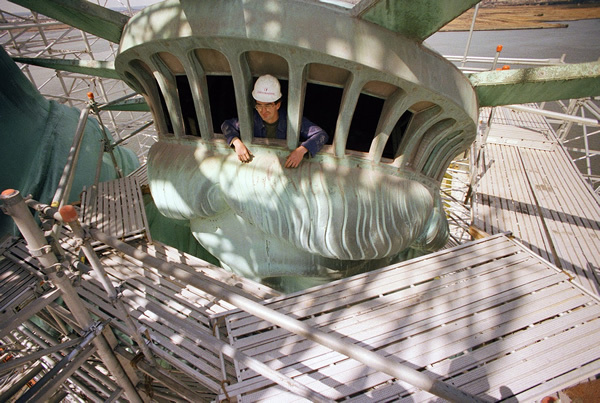 “By 1982, a century’s worth of weather, pollution, and sightseeing had left Lady Liberty’s crown, torch and gown badly in need of a comprehensive refurbishing. So it was a great honor for me to accept President Reagan’s request that I lead a private sector effort to raise funds for the restoration and preservation of the Statue of Liberty and Ellis Island. Thanks to the generous donations of proud American citizens – from grandparents to school children – we were able to raise $500 million to restore these two great monuments to freedom. I still remember the overwhelming feeling of pride that swept over me when we unveiled the restored Great Lady in 1986. It was July 4th weekend, with a gala three-day event attended by President Reagan and President Francois Mitterand of France. This majestic landmark that has inspired millions upon millions when entering American waters to pursue their dreams was most certainly worth the efforts put forth in restoration and I’m sure if the time comes, others will rise and do it again. Having a big dream is not enough. Hard work, tenacity, salesmanship, marketing, treasury, science, engineering, smooth delivery operations, etc. are all part of any equation. It’s really not that difficult to see the successful attributes of a winning marketing combination – all one needs to do is directly observe and analyze the contributing components of greatness found within well done projects. If we are talking about presidential advertising strategies, I think maybe there are some other more recent examples that bear mentioning. President George H.W. Bush did a marvelous job advertising the necessity of war in Iraq and Afghanistan, and in 2011 when President Obama called that late press conference to declare Osama bin Laden was killed, as a PR move, that was one that brought him a crap load of goodwill from the American and world’s public audience. Copyright © Buzzazz Business Solutions. All Rights Reserved.